Sherry Kauppi is a psychic, medium, channeler, and Upper Michigan resident. During a near death experience at age thirty-two, she made a bargain with a spirit that would define her life’s purpose. Since 1995, she has channeled non-physical beings, seeking to give love and advice to earthbound humans. Kauppi’s new book, Tales of Love and Dying, tells her story about being a psychic and how she communicates with spirits and helps others. Through her psychic abilities, she has been able to help treasure hunters locate valuable ancient artifacts and parents communicate with children who have passed to find the comfort they need. While death is difficult for those left behind, Kauppi helps to ease that pain. A significant portion of Tales of Love and Dying is devoted to her working with the parents of a deceased young teenager, Joey. In time, Kauppi was able to help the parents understand that Joey was still there, and she channeled him and his deceased grandfather, to help the parents better understand the situation and take comfort. Kauppi’s stories are fascinating as is her prediction that psychic abilities will be the new normal for humans, going so far as to say it can happen to us in this lifetime, although it will manifest differently for various people. 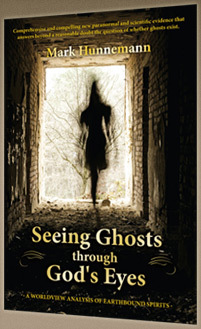 She goes on to provide personal tips on how we can connect with spirits and awaken our psychic abilities. Tales of Love and Dying may not be for every reader, but personally, I found it fascinating and an affirmation that life and love do go on forever and we need only be open to the possibilities. (Note, the above article I first wrote for the Marquette Monthly (www.mmnow.com) and it is reprinted with permission.